Built in Gautam Nagar, Bhubaneswar, Aurovilla is a residential development by Narula Homes. 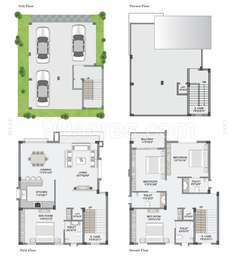 The project is sufficed with all world class modern amenities and covers 4BHK Villas. Being close to all necessities, it has good connectivity to the rest of the city. Presenting Aurovilla, 8 immaculately designed super luxury villas in the center of Bhubaneswar city. These villas are a fitting tribute to you and your stature. Where is Aurovilla located? 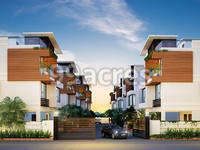 The project is located in Gautam Nagar, Bhubaneswar. What is the total area of Aurovilla?The project spans across 0.46 Acres. What is tentative possession date of Aurovilla?The project is expected to be delivered by Dec 2019. Does Aurovilla have cricket pitch? The project doesn't offer a cricket pitch. Does Aurovilla have skating rink? There is no skating rink in the project. Is there a club house in Aurovilla? The project doesn't have a Club House. Premium Granite top fitted with Stainless Steel Sink. Ceramic Wall Tiles With anti skid Flooring tiles. Exhaust Fan and Glass louvers. Premium Vitrified Tiles In Living Area, Kitchen and Bedrooms.